This year I am a little late in getting my seeds started for my garden. I thought I would share a few ways on how to start seeds for you garden. I use just about anything that will hold dirt to start seeds. The kitchen is the best place to find conatiners with egg cartons, yogurt cups, K-cups, deli trays, fruit containers. All those things are great mini greenhouses. 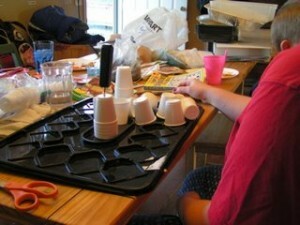 Here is a step by step description at LivingOnADime.com of how I start seeds indoors using dixie cups and a cake tray for my garden. 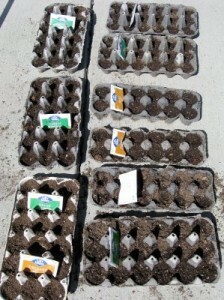 Over at Petite Elefant she shows how to start seeds using egg cartons. I will certainly be using egg cartons this year since we are going through about a dozen eggs a day with our 4 kids. 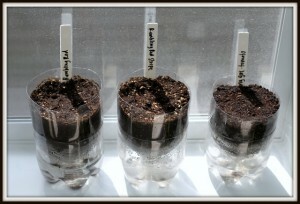 Here, DesperateGardener.com shows how to start seeds in soda bottles. This is a pretty clever way to self water the seeds, too. For me, it’s hard to keep up with watering sometimes and you really don’t want to miss a day checking your seeds and watering them appropriately when you’re first starting seeds. 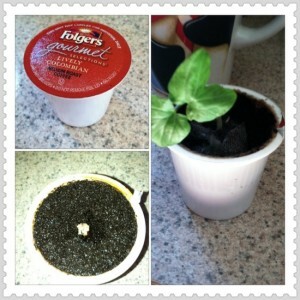 I don’t use K-cups for starting seeds for my garden but my neighbor does. I asked her to save a bunch and I’m going to use them to start my seeds this year, too. I found this one on Pinterest. 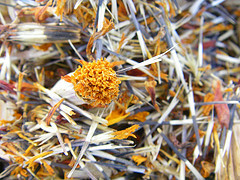 Artprojectsforkids.org shows how to start seeds using a CD case. This is great to let the kids seeds day by day how a seed grows before they transfer it to the garden. Of course when you start seeds don’t forget you may just have a mini greenhouse right in your house! 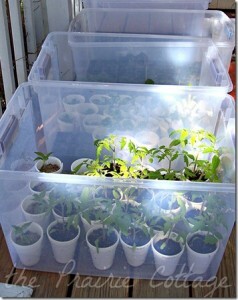 These common storage tubs work great if you need more room. 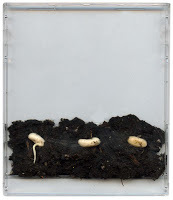 I found this on prairiecottagerose.blogspot.ca I’ve got a long one that goes under a bed and I will use it start some of my seeds this year. Wow. These ideas are some that I would have never thought of doing. Very nice and helpful article. Details’ve stood on. Thank you. Garden maintenance is very troublesome. I’m interested when I found time to garden.